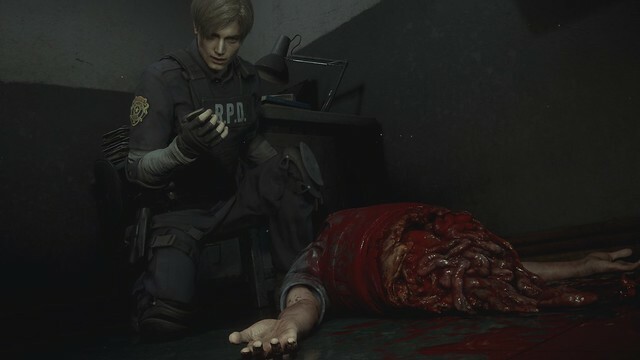 Watched some youtube vids of the PC demo and it might be the first Resident Evil game I buy. If you play as the giant Tofu, do the zombies not eat you? Seriously overrated game series. The same series made by a Japanese* developer where you get to be a white dude executing hordes of blacks. But you can't walk while you shoot; can't have that! * Racism against blacks is ingrained in many Asian societies. Having lived there for years, I am well acquainted with it. Vegan zombies exist, X-files taught me as much. Asians don't like you crackers much either.. or each other. Unless we need green card. Then me love you long time. Asians don't like you crackers much either. Experienced that as well. But nothing like poor babies of black American military personnel with Asian locals or blacks in general. Asians look at them as the lowest rung on the evolutionary scale. America is the least racist place I've ever lived or traveled, and I've been a helluva lot of places. More than any of you, of that I am sure. Yeah I don't know wtf is going on in this thread. I do know this though, I played the demo on PC and PS4. I snagged the PC version for 44 bucks on green man gaming. Let the zombie fest commence. Was about to buy it for PC then noticed it used Denuvo Anti-tamper and decided against it, I'll wait a few months for them to patch it out like several other games have. I've waited all these years for a remake, I can wait a bit more to buy it. I played the demo on PS4 over the weekend. I am surprised how good it was so far. The newer control scheme/over the shoulder works well. The mix of new and the familiar was really well done. I hope it lasts the whole game. I may have to get this at launch if so.